In the fall in Tennessee, my favorite weekend trip is Gatlinburg, TN and once there, my very favorite place to see the fall color and the Smoky Mountains is the Roaring Fork Motor Nature Trail. Before you head out, it is worth driving into the main entrance of the park to go to the Sugarlands Visitor Center (Map link here). Rangers are available to answer any questions you have, and you can pick up a guide to the Roaring Fork road for a small donation (last time we were there is was $1). It has detailed information about the log homes and trails you will pass on your tour. Plus, you can take a picture of your family with the sign on the way into the Park. We do it every time we go and get to watch our kids grow over time. Exit the Visitors’ Center and head back in toward Gatlinburg exiting the park. 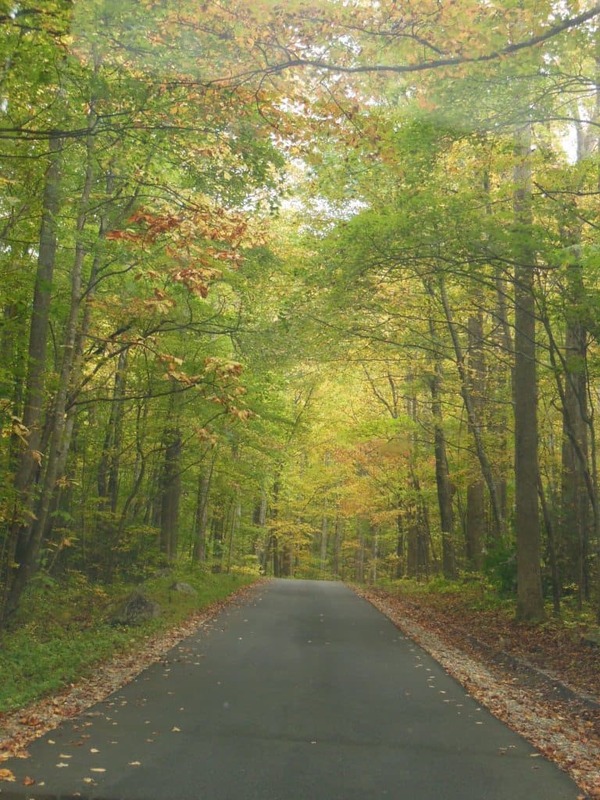 To access Roaring Fork turn right at traffic light #8 and follow Historic Nature Trail Road to the Cherokee Orchard entrance to the national park. You will pass the Gatlinburg Convention Center on your right and Glenstone Lodge also on the right – just keep driving and suddenly you will be surrounded by trees and your journey will begin. Just beyond the Rainbow Falls trailhead you have the option of taking the one-way Roaring Fork Motor Nature Trail (closed in winter). As a reminder – buses, trailers, and motor homes are not permitted on the motor nature trail. The roads are windy and narrow in some places so you are best off in a passenger vehicle. We stop and walk around all the different log structures. You can go inside each and there are plaques at each that tell the stories of the families that lived there. There are some trailheads for longer hikes but my family with young kids and short legs have not ventured up them. One to note in particular is the trailhead for Rainbow Falls. It looks amazing but it is 5.4 miles round trip but I’m sure you would be well rewarded if your family can handle the distance to see the Falls. It is on my list when my kids are older. In addition to the log structures there is a river/creek that winds along the road that is fun to get out and explore. There are also several places to stop at overlooks to see the majesty of the Smokies. We have seen deer and smaller animals and if you keep your eye out and happen to be there at just the right time you may see a black bear. National Parks are great for family fun! 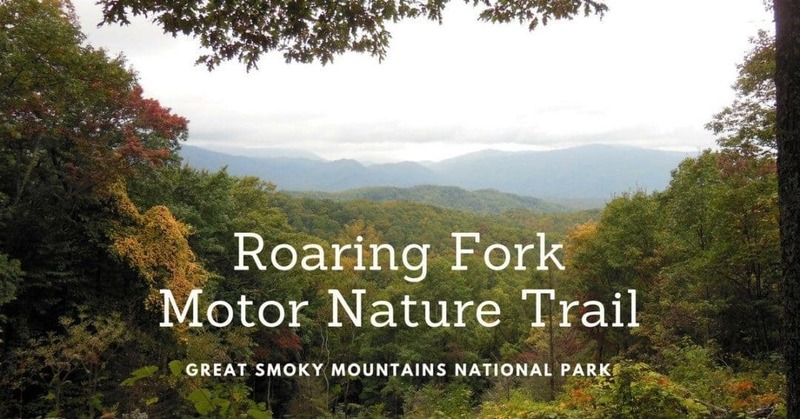 Next time you head to Gatlinburg, save an afternoon to explore the Smoky Mountains National Park with a drive on the Roaring Fork Motor Nature Trail. No matter what the season, I promise you will enjoy it!